Toshiba's V-series controllers provides modular functionality to deliver total integration in control, scaled to fit all applications of any size, with Toshiba's proven reliability and rugged construction. Modular Integration allows free 'mix and match' selection of Sequence control, Loop Control and Computer control modules in a single rack optimizing the controller for each application. V3000 provides full DCS capabilities for larger systems. V2000 is best suited for medium size systems. 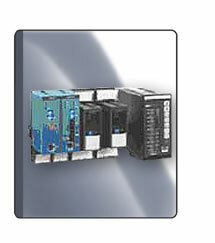 V1000 provides loop control for smaller systems.